A few years before the fall of the Berlin Wall, spook-turned-novelist Edwin Lemaster revealed to up-and-coming journalist Bill Cage that he’d once considered spying for the enemy. For Cage, a Foreign Service brat who grew up in the very cities where Lemaster’s books were set, the news story created a brief but embarrassing sensation and heralded the beginning of the end of his career in journalism. More than two decades later, Cage, now a lonely, disillusioned PR man, receives an anonymous note hinting that he should have dug deeper into Lemaster’s pronouncement. Spiked with cryptic references to some of Cage’s favorite spy novels, the note is the first of many literary bread crumbs that lead him back to Vienna, Prague, and Budapest, each instruction drawing him closer to the complex truth, each giving rise to more questions: Why is beautiful Litzi Strauss back in his life after thirty years? How much of his father’s job involved the CIA? As the events of Lemaster’s past eerily—and dangerously—begin intersecting with those of Cage’s own, a “long stalemate of secrecy” may finally be coming to an end. 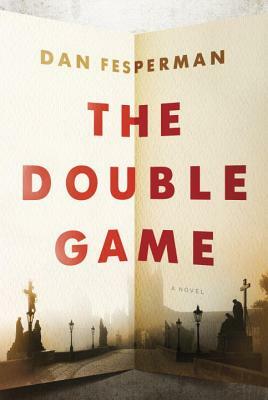 A story about spies and their secrets, fathers and sons, lovers and fate, duplicity and loyalty, The Double Game ingeniously taps the espionage classics of the Cold War to build a spellbinding maze of intrigue. It is Dan Fesperman’s most audacious, suspenseful, and satisfying novel yet.